In stock 111 items in stock. How to get started using the BlueSMiRF and Bluetooth Mate Silvers. Review, teardown, and hacking tutorial for the MindWave Mobile, a $99 commercial grade EEG sensor. The SparkFun Arduino ProtoShield PCB and ProtoShield kit lets you customize your own Arduino shield using whatever custom circuit you can come up with! This tutorial will go over its features, hardware assembly, and how to use the shield with an Arduino R3 footprint. A Bluetooth-enabled RC Car that uses Remote Arduino to allow another Windows device to control it. Hi, I have a question. 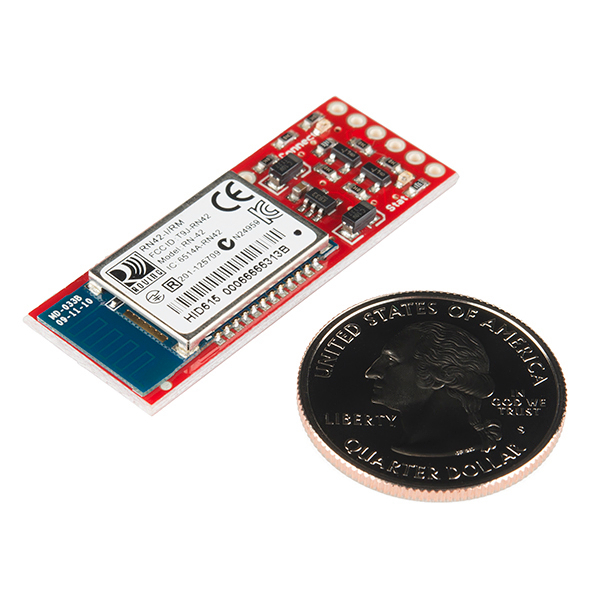 If I use two of these, one connected to a PC (running windows) and another connected to a microcontroller (e.g., Arduino or Photon), can I establish a connection? Do I have to worry if they can be set as Central or Peripheral devices? Thanks for the help. Using hi.tools instead of the Max's built-in hi object, I can have a robust controller that auto re-connects within seconds if the connection is lost for some reason. Way better than serial where if the BlueSMiRF disconnected unexpectedly I would often have to restart Max and/or remove and re-pair the BlueSMiRF in the Bluetooth System Preferences pane before it would reconnect â neither of which are feasible during a performance, especially one where the laptop has to be left unattended. Hi! 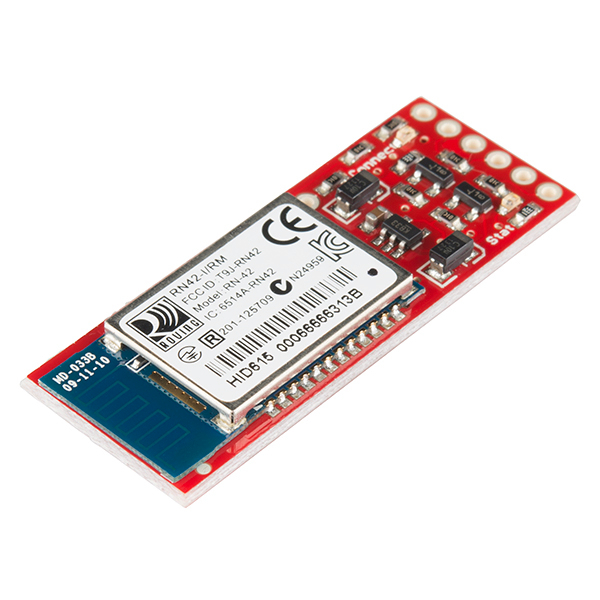 I'm having a problem, I'm trying to connect my teensy 3.1 to an Arduino UNO using two bluetooth BlueSMiRF Silver, but it doesn't work. I had to use a computer to communicate those two, does anyone have communicate two BlueSMiRF before? Im using this code to make the connection. Tried with two different Bluetooth PC dongles, set to discoverable through Blueman on Ubuntu. Also tried with discoverable Android phone. Tried both before and after pairing via the pc / android. What am I doing wrong? 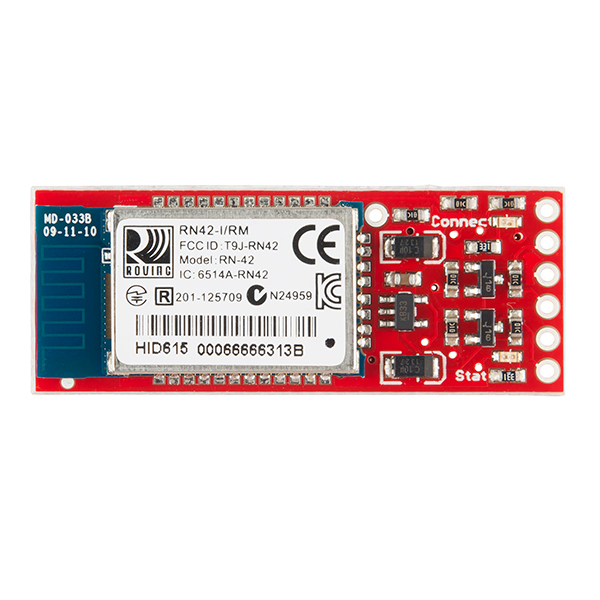 Does anyone know if it is possible to use this (or a similar) Bluetooth module as a HID device, and as a serial device simultaneously? I need to use my Arduino as HID device, but I also need the possibility to send data to the arduino (e.g. for switching on LEDs). Or would I have to connect two BT modules to achieve that? I am unable to get the Bluesmirf Silver to pair and connect to either a Macbook Pro or iMac running OS X 10.9.5. It does pair and connect to my iPhone and to a Windows 8.1 tablet. All of the tutorials I have found appear to be an older version of the Mac OS and the System Preferences -> Bluetooth dialog box has changed significantly. I have googled this to death, but I can't find a solution. I need this for the score reporting for the Nerdy Derby track that is going to be at the Denver Maker Faire in June. Any help would be appreciated. Thx! My hunch is that I'm missing something simple here; but, can't seem to determine what that might be. Any thoughts? Is it possible to download the 3D model? It is available in our 3D model repository, the files live here. I'm using TeraTerm and a FTDI Basic, and I'm trying to enter command mode, and actually succeding, BUT... I'm not recieving anything on my terminal screen BUT... my LED starts to blink faster so I know that my Module is in CMD, I can change Baud rate, reboot, etc, but with no feedback from my BlueSMiRF, I know he is listening because I can reboot it with the r,1 command, I don't know what to do! I can use the Arduino IDE to talk the BlueSMiRF by entering command mode and typing simple commands (e.g. I am able to change the name and baud rate). Now I would like to change the values of variables within the program that is running on the Arduino. Also, I would like to be able to print the values of variables (e.g. accelerometer readings) to the serial port using the bluetooth connection. Is there any documentation on how to do this sort of thing? Has anyone successfully received a signal from the CTS line? I am assuming that this would change when there is a serial connection through the bluetooth antenna. Though I can easily connect via bluetooth and talk to the UART, I cannot seem to get the CTS line to toggle. could this 'bluetooth modem' be paired to BT-enabled smartphones or or even a Wii-remote as a remote control radio link? If not, is these such a device out there somewhere? Anyone know of an iOS app that will connect and work with the BlueSmirf? I see a couple for the BlueFruit specifically, but I don't see any more general bluetooth serial terminals in the app store. I've been trying to pair my BlueSMiRF Silver HID to a PS3. I always get the "wrong code" error even I cannot get to type the numbers Playstation asks me to write in order to pair. What configuration parameters could I change in order to successfully pair the device? Hi, i purchased this bluesmirf silver a month ago i was able to enter the command mode few days back but now when I am loading the same program and hitting $$$ its not returning CMD back I am using arduino mega adk with pins 14 and 15 as rx tx. I purchased a couple of these when trying to communicate with a bluetooth device. I now know that my existing device uses a RN-41 module. Can the RN-42 communicate with the RN-41? It is my understanding that the difference is in output power only? Hi, I have a problem. I am working with two blueSmirf Silver and I am connecting one of them to an Arduino uno, and the other one to a Teensy. My problem is that I cannot connect those boards between them using the Bluetooth BlueSmirf. I dont know whats happening ! Please I need some help to solve this problem or some page where I can read something about that. I tried to connect each one to my PC and it works. But doesnt work between them. Why is this so expensive? And why does the Bluefruit cost so much less? Hey there, I bought a BlueSMiRF Silver and carefully wired it up - but I'm not getting any status LEDs to light up. Is there a particular trick I need to know - or is it possible I got a defective module? 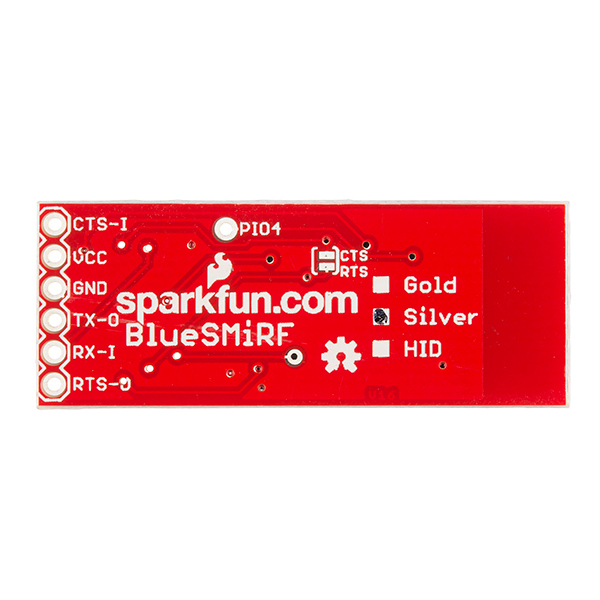 Does BlueSMiRF Silver work with Arduino pro minis? The Bluetooth Mate Silver can be directly plugged into an Arduino mini, but those are out of stock apparently. Yup! The only difference is you'll need to use some jumper wires to connect them. The BlueSMiRF doesn't have the exact same pinout as the Pro Mini. Functions at a decent range through a lead lined wall. Very impressive. Added the BlueSMiRF Silver with a 6 pin header to my project board and integrated BlueTooth into my project with ease. Have used ~35 so far with no problems. Pairing sometimes takes a couple of tries, but once paired, Android device can connect flawlessly. Might be the Android device, might be the BlueSmiRF. Tried a number of BlueTooth breakouts and this one was the easiest to use and one of the best documented boards out there. This product does exactly what I expect of it. I need a bluetooth module which supports the SPP profile and this device does it perfectly. Following the instructions at "http://developer.neurosky.com/docs/doku.php?id=mindwave_mobile_and_arduino", and modifying for use on a mega's rx1/tx1, I had it reading brainwave data from the MindWave with the first try. Using BlueSmirf modules to control a robotic device via a Bluetooth link. The remote uses an Arduino micro and the Bot has an Arduino Mega. Easy to code and works well. I am using this for serial communication with a pc board with a PIC processor, and it works well. I wish Windows 10 worked as well. Win10 has a hard time connecting to it, and I have to have win10 forget it and pair it again. Each time win10 pairs it uses 2 new com ports. Eventually going beyond Teraterm's limit (com12). Then I have to trick the Registry so it will go back to assigning ports below com12. Anyway this modem has worked perfectly. I have an xbee gps air to ground setup with google maps. However, without the net, its useless. The bluetooth made my smartphone very valuable, as I don't need the net to use google maps anymore. Tracking weather balloons. As long as I have cell service, which is way more available than wifi, I have a map. And it was well documented. That was key. I am trying to connect to multiple SMiRFs via matlab. The Gold ones work just fine but none of the sliver ones work. I am frustrated and I am going to return my silver ones. We'll be happy to help you with an RMA. Please contact us via https://www.sparkfun.com/returns if you have not already set something up with our Support team. Price has come down substantially. Works well with Matlab's Bluetooth Toolbox once you've figured everything out. Connects fast and rarely looses signal even at a good distance. Successful connections to RaspPi and iMac. Unfortunately iPad does not connect. Any ideas?